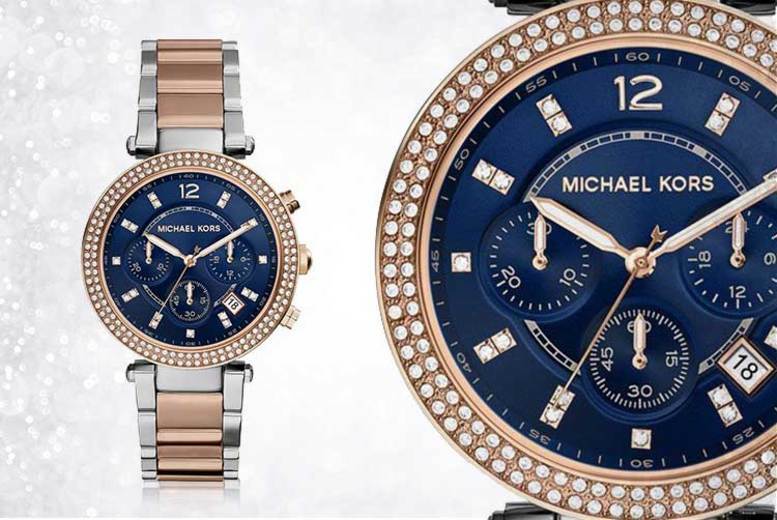 Get a Michael Kors MK6141 ladies chronograph watch. With an elegant two-tone rose gold and silver bracelet. Features a sophisticated navy blue dial. And analogue-quartz movement and date display. A timeless piece that’ll subtly elevate any wardrobe. Perfect as a gift for a friend or as a treat for self.